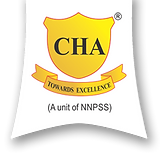 CHA College of Hospitality Administration is one of the best Hotel Management Institute in India , managed by non profit making organization NNPSS (under the leadership of top industry professionals) Regd. by Rajasthan Government , affiliated with Rajasthan Government Skill University. The Institute is the member Hospitality Educators & Recruiters Association, Indian Housekeepers club , Hotel & Restaurant Association of Northern India and Hotel & Restaurant Association of Rajasthan . CHA Institute has a state-of-art campus and one of the best academic infrastructure, facilities with high-tech facilities, wi-fi campus & air-conditioned class rooms & Labs. Well equipped library equipped with the latest books and management journals from around the world. Exquisite kitchens i.e. Basic Training Kitchen & Advanced Training Kitchen along with bakery & patisserie set up with the best equipments. Spacious class rooms with LCD projectors for presentations. Fully furnished 2 set- ups of restaurants with different themes and house keeping lab, Training guest room with 3 fixture bathroom. International Internships offered across the globe. Course offers the most career options with 100% placement. After my Graduation, when I planned to do Hotel Management I was skeptical about my career but I am really thankful to CHA Jaipur, just after 08 months I got a job with Jebel Ali 5star resort in Dubai. Thank you CHA. In spite of not getting support from my family I pursued Hotel Management and chose CHA to be my mentor and I am proud of my decision as today I am working as a Front Office Manager with one of the best 5 star brand Royal Orchid. CHA's best asset is staff. They are very knowledgeable in the Hospitality field and are happy to share their practical experience with us. It is obvious to me that they really care about our professional development and they are willing to go the extra mile to help us succeed. CHA has given me various opportunities which helped me to learn everything in reality and to apply what we have read in books. I got fully familiar with all the aspects of Hospitality Industry. Thank you for giving shape to my career. I enjoyed the tenure of my graduation with a versatile culture of students, since I belong to the Eastern part of India. It is an incredible college where students are getting firsthand knowledge and experience of how a professional Hotelier works and develops its own personality in Hotel Industry. The faculties have always been co-operative and supportive. CHA has been a place for me to explore who I am and opened my eyes to different point of view's. I was exposed to people of different cultures and gained confidence in interacting with friends, colleagues and guests. I always used to feel that because my English is week, I will not be able to survive in this hospitality sector but college really worked on my weaknesses through activities like presentations, projects, mentorship program etc. and today it has become my strengths which I am successfully applying in the industry. CHA has given me opportunity to develop the abilities which are vital to work in Hospitality industry and also taught us the recent trends of the industry which proved to be a milestone in the growth of my career. CHA has given me lots of opportunities to meet various industry people through guest lectures, industrial visits etc. This exposure to the industry really helped me shaping my career in best of the possible manner. Thank you CHA for giving wings to my career. It is the best Hotel Management College with best of the faculties and environment. CHA institute provides the right atmosphere for students who truly grow in the Hospitality sector. Proud CHAite.